Now known as the Isuzu D-MAX, in line with international markets, the Isuzu bakkie range spans an extensive portfolio comprising of 30 models for South Africa and 13 models for export markets, with the top-spec derivatives gaining a more luxurious execution that reflects the more sophisticated requirements of top-end buyers in this segment. The D-MAX name originated in Thailand, with the ‘D’ originally referring to the 2000 model year Isuzu bakkie which boasted the flush “Dragon Eyes” headlamp design. 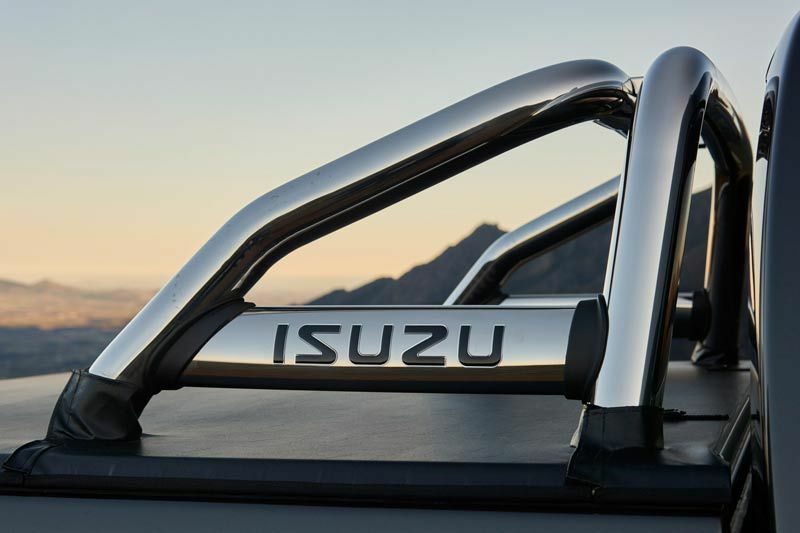 It also represents Isuzu’s proud legacy in the production of diesel engines, the use of industry-defining direct injection, as well as ground-breaking design and durability. 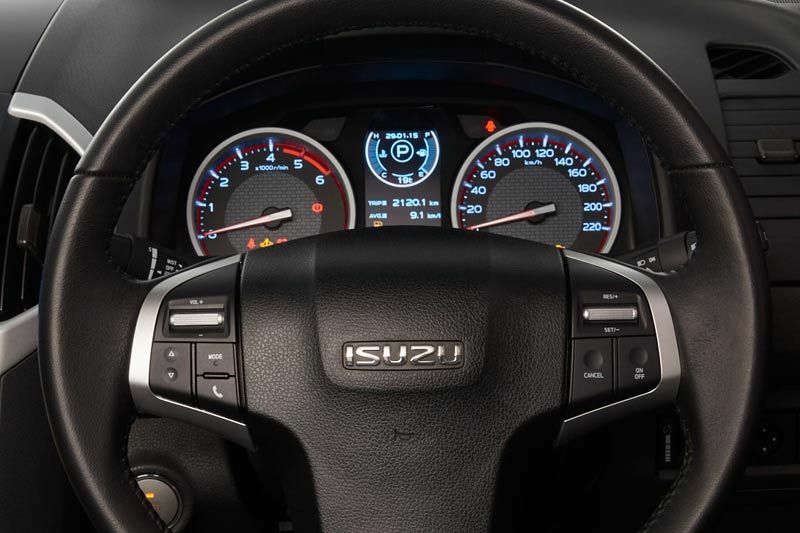 ‘Max’ signifies Isuzu’s maximum approach to design, size, comfort, technology, performance, safety, durability and line-up. Visually, the biggest styling changes for the refreshed Isuzu D-MAX make their debut on the range-topping 3.0-Litre LX models, available in single, extended and double cab body styles. Central to the new look is a muscular new chromed radiator grille that dominates the front facia, along with new tapered chromed accents extending across the full length of the sleeker L-shaped headlight clusters. Climb into the cabin and the more upmarket look and feel of the LX models becomes immediately apparent, courtesy of the new soft-touch panels for the instrument cluster binnacle. The utility box lid is now embellished with the ‘Isuzu D-MAX logo’, this is complemented by a new, more attractive high-quality grain for the dashboard and door trims, along with a piano black finish on the air vent grilles and window switches. In contrast, the door handles, locking knob, and air vent knobs are picked out in chrome. As before, Electronic Stability Control (ESC), Hill Start Assist (HSA) and Hill Descent Control (HDC) are included to assist the driver in all types of driving situations. These active safety features are available as a standard feature from the Fleetside Safety to the LX trim. A new 2.5-Litre HO Base model joins the popular double cab range as an entry-level proposition that is perfectly suited to hard-working commercial applications. It is complemented by the existing Hi-Rider and striking X-Rider models in 4X2 or 4X4, as well as the LE version that offers exceptional value for money. 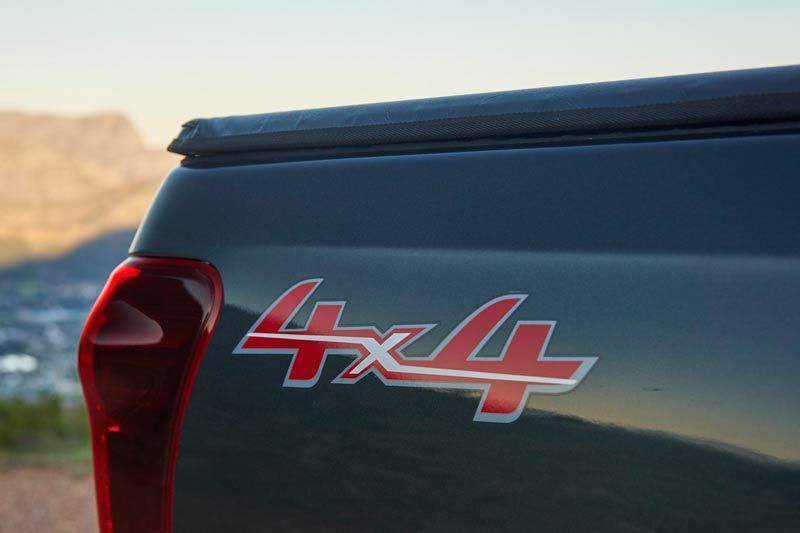 Topping the D-MAX line-up is the updated, more capable and more luxurious 3.0-Litre LX, available in 4X2 or 4X4, and the choice of the all-new six-speed manual or automatic transmission. Isuzu Complete Care comes standard with every new Isuzu D-MAX and embodies Isuzu’s unwavering commitment to after-sales service and customer satisfaction. All Isuzu D-MAX models are sold as standard with a comprehensive five-year/120 000 km warranty and roadside assistance, as well as a five-year unlimited distance anti-corrosion warranty. In addition, a five-year/90 000 km service plan is included in the purchase price, with service intervals scheduled every 15 000 km or annually, whichever comes first.